Come on Stationery Junkies - I haz a Giveaway for you!!!!!! | Life Love and Hiccups: Come on Stationery Junkies - I haz a Giveaway for you!!!!!! Come on Stationery Junkies - I haz a Giveaway for you!!!!!! There is something about receiving a letter or a card in the post that makes my heart get all warm and fuzzy. Maybe it has something to do with the fact it is not a bill or a reminder notice or a letter from the Sheriffs department (I actually haven't had one of those but I am sure it would be pretty scary).....nah I just like to get a personal note in the mail every once in a while. I also like to take the time to write thank you notes and little letters to brighten someones day. I know it is very outdated these days with email available and twitter and facebook, but it is the actual sitting down and writing these notes as well as the sentiment behind them that I enjoy. I was so excited when John Sands contacted me to review their gorgeous new PAPYRUS range of cards and accessories. I LOVE stationery!!!! - in fact I have more than a slight addiction. 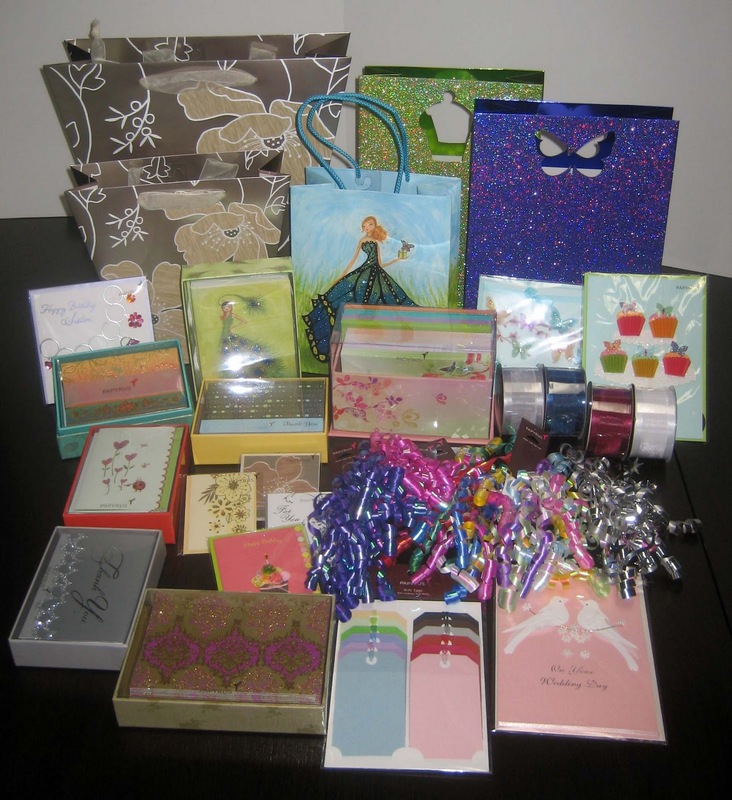 The PAPYRUS range of stationery includes cards, note sets, gift wrap and wrapping accessories. These adorable little box sets come complete with note cards, envelopes AND gold embossed hummingbird stickers and the envelopes are all beautifully lined. There are so many different designs to choose from - Oh be still my little stationery loving heart. They have a range to suit all occasions and for all ages. The fabulous people at John Sands have put together a prize pack for one of my readers to win valued at $344. Ahhhhhhhhhhhhhhhhhhhhhhhhh!!!!! Yep I'm screaming with you too Ahhhhhhhhhhhhhhhhh! I feel a little like Oprah but without the property portfolio and zillions of dollars. This is the fabulous prize pack one lucky reader will win. So go on, get your entries in. The winner is totally obligated to send me a personal thank you note by traditional snail mail......kidding!!!! Competition is open now and closes midnight 16/02/2012. The winner will be announced 17/02/2012 cause I don't intend to be up at midnight.